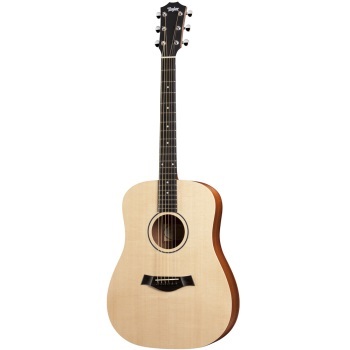 The Baby Taylor's super-sized sibling gives you a full-size Dreadnought sound. Featuring a sapele laminate/solid Sitka spruce body, it makes a handy songwriting partner for anyone and comes with a gig bag for easy portability. Includes gig bag.